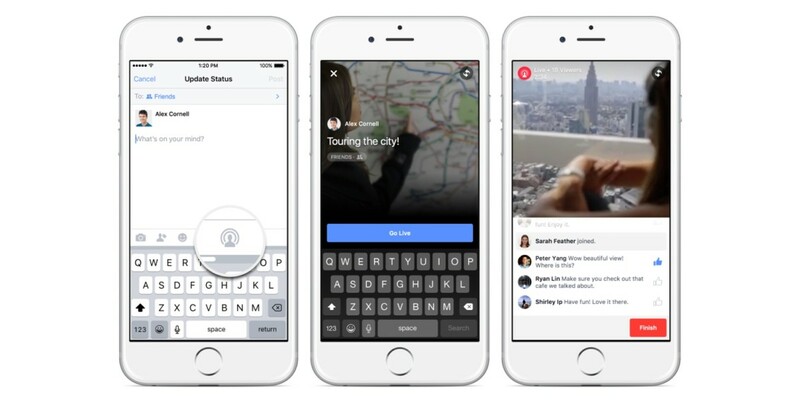 Facebook is opening up its live streaming option to all users. After limiting it to celebrities, Facebook is letting everyone broadcast to the world. So far, livestreaming via Facebook is iPhone-only, but Facebook says it’s working on Android functionality. To start a live broadcast, tap on your update status icon, then select the live video icon. From there, just type a quick into on what you’re broadcasting, and select the audience you wish to reach. Like Periscope, you’ll see comments stream in real-time. You’ll also be able to see the names of friends who are tuning in, and total number of viewers. Discovery of live feeds takes place in your News Feed, and Facebook has worked in a subscribe option to push notifications next time that account broadcasts.